Sangria and Stoli were ADOPTED!!! TOGETHER!!! Mom was contacted via email before Thanksgiving by a family looking to adopt. 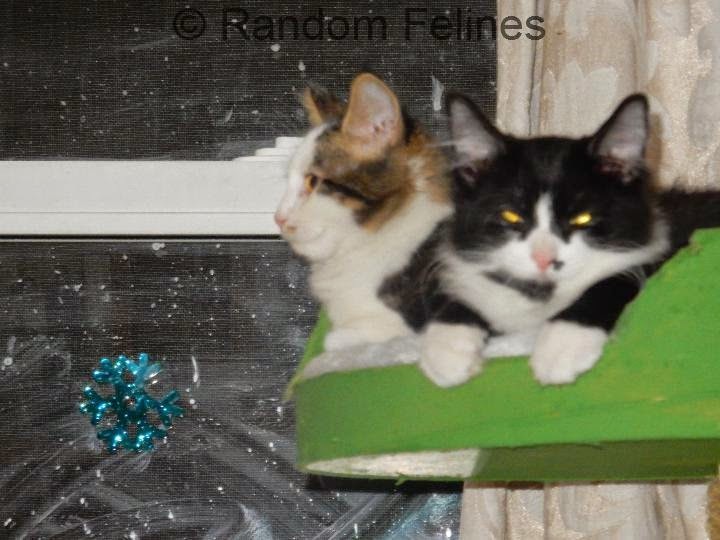 They had seen these two during their brief stay at Petco and were interested. They have 4 kids and the 12 year old daughter had been begging for a kitten. They were in the process of moving into a new home, so mom agreed to hold on to them (what a hardship) until after Thanksgiving. Saturday was pictures with Santa hosted by our rescue vets (we made over $900 woohoo!!!). The kittens were picked up then. Syd is the 12 year old and had a lego convention all day (they do that??) so the family came to pick up the kittens and were going to have them up in her room to surprise her when she got home. They have promised lots of updates so hopefully we will here all about it when everything gets settled. The oldest boy got to rename Stoli (you knew that was going to happen - MOL) and he is now Oliver. Syd will get to rename Sangria and we will let you know what that ends up being. 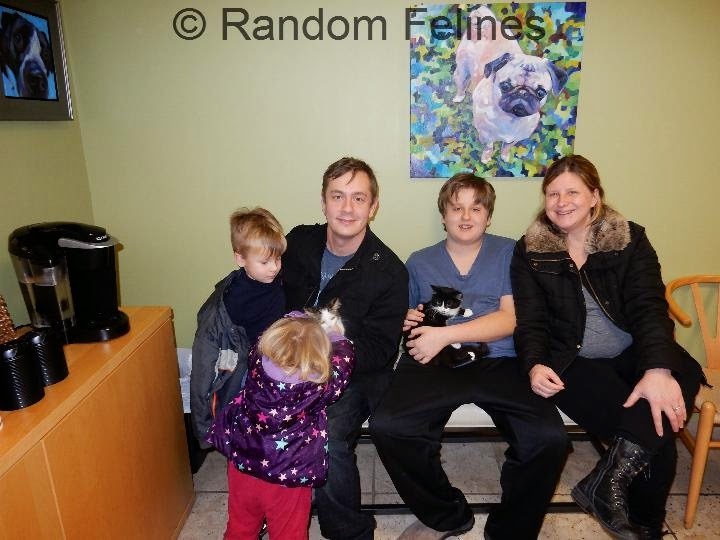 Concats to Stoli and Sangria and their new family!!!! Oh that is such good news. What lucky kittens to get adopted together. That is very exciting. That is great news- I love a happy ending! What wonderful news and hope they will have lots of love and cuddles in their furever home. Good for those two little cats. I'm glad they went together. Oh yay! Love double adoptions! And surprise adoption for the 12 year old, how awesome! What awesome news! Double adoptions are always awesome! Oh, wow, concatulations to those two for going to a new family TOGETHER! What great news! That's great news! We know they will be so happy!! That is great news that they have been adopted together. We is so far behind...but concats to Stolli/Oliver & Sangria. That is fantastic news! !